Patented 6 micro-brushes surround teeth to clense all surfaces... "The automatic car wash for the mouth"
Power Handle is ergonomically designed - Awarded American Foundation Ease Of Use Commendation. Restoration Speed I (850-900 strokes per minute) Restores gingival health by removing harmful biofilm to provide patients with a brighter, healthier smile. 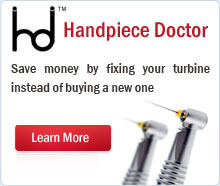 Maintenance Speed II (1,00-1,200 strokes per Minute) Maintains and raises oral health to a new level of home oral care. Gums are healthy, pink and stipple; teeth are whiter/brighter, breath is fresher. Induction charging system ensures optimim oral care with each brushing. 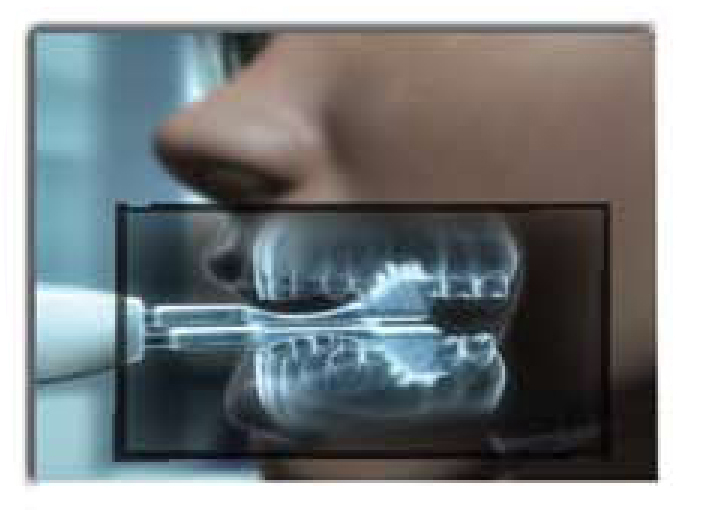 Smart Pressure Sensor shuts off the unit if the patient bites too hard, and will not continue brushing until the biting pressure is correct. Patient Compliance is Now Safe, Fast, and Automatic! "Most people brush for 30-45 seconds, and dont reach all areas. The 30 Second Smile makes what they do very effective no matter who is using the toothbrush...a child, an adult, or someone with a disability. Whoever picks up that toothbrush will have the bristles in exactly the right spot every single time." Proper Brushing Techniques are Automatically Executed! Proper pressure applied - automatic! Proper bristle angulation - automatic! Proper cleaning between teeth - automatic! Proper brushing motion - automatic! 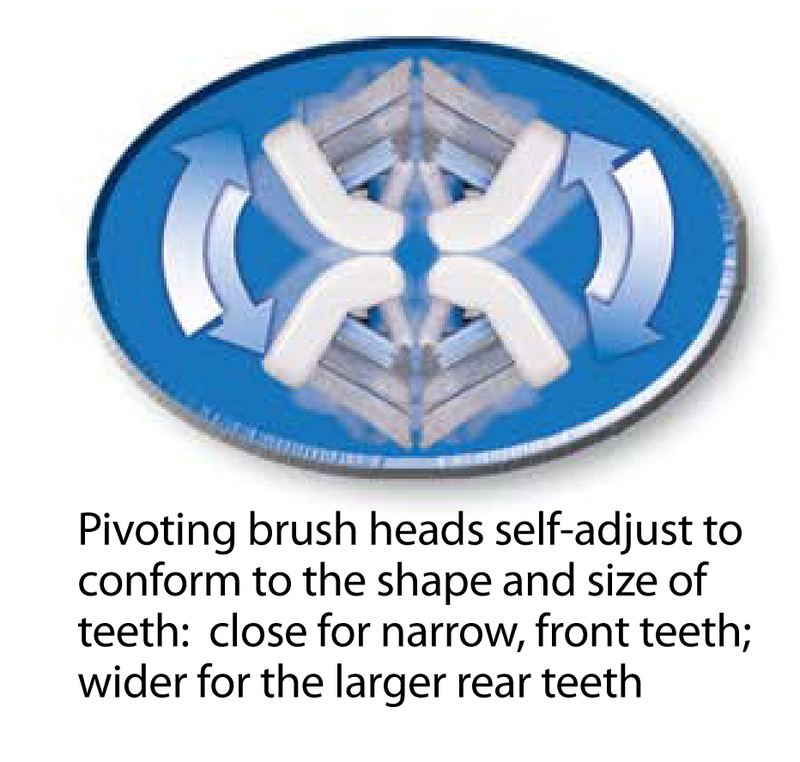 Unique, peerless technology antomatically brushes upper, lower, inside and outside of teeth simultaeously. Multiple length bristle trim and angles for ultimate between-teeth cleaning. Short bristles contact tooth enamel surfaces, while long, teeth and gums, and along the gumline. Patient does not have to apply any pressure, between optimum pressure is built in. This feature, along with the short stroke, makes abrasion and trenching impossible if used as directed. Great for children, adults, elderly, and mentally or physically challenged patients. Dr. Joseph Nemeth video: "30 Second Smile Toothbrush Improves Oral Health"
Try 2-Tone disclosing agents to help your patients really SEE their difficult areas. Old plaque will stain blue to identify areas continually missed while more recent plaque will stain red. Available in liquid or tablet form. The Florida Probe System provides everything that you need to turn a personal computer into a state - of - the art computerized probing station! With this constant-force probe, dentist and hygienist can measure periodontal pockets faster and more accurately. The constant force allows measurements to be standardized between operations. Treatment can begin in the earliest stages of disease, often preventing early bone loss and possible surgery. The system can record the main parameters of a periodontal exam, including missing teeth, recession, pocket depth, bleeding, suppuration, furcation involvement, mobility and plaque assesment. Voice Call-outs: As data is entered via the computer keyboard, you will hear a female/male voice call out all data for the patient's benefit. This assists in keeping the patient involved in the exam since it produces a "co-diagnosis" effect. The computer also calls out "midline" and "changing arches" so that the hygienist will always stay on track, never ending the visit by being off by a tooth at the end of charting. Voice options include Spanish, Portuguese, French, German, Swedish, Finnish, Japanese and Korean, Russian. The Florida Probe System provides everything that you need to turn a personal computer into a state of the art computerized probinging station. With this computer-assisted probe, dentist and hygienist can measure periodontal pockets faster and more accurately.